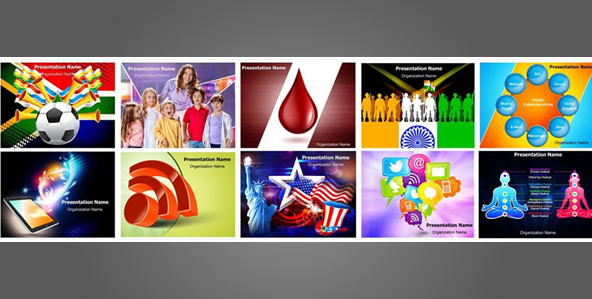 Your PowerPoint templates are the foundation on which you build your whole presentations. If you want to come up with an effective PowerPoint presentation, it is crucial to choose the right PowerPoint template for that. You should give equal importance to your templates as you give to your content. It is not at all a trivial decision. Don’t just summarily pick your PowerPoint template when you are required to prepare a presentation. Enter as much presentation content as you have available. If you don’t have all of the information, just outline basics of what you will have on the presentation slides. Using the different preset layouts available would be a good idea here. You can change them later according to the requirements. If you want to use clipart, charts and graphs, just insert those that are not populated. Also, you need to choose PowerPoint templates with plain background designs in such instancesas you will be inserting lots of objects into those. We are sure you don’t want a background design that competes with objects and images you are going to insert into your templates. After you have gathered everything and properly mapped out your whole presentation, you need to properly evaluate and select your PowerPoint template. Following are some pointers to help you evaluate your PowerPoint presentation templates and narrow down the list of choices. Audience - Consider the profile of people you will be presenting to. It is as important as the method of presentation. For instance, consider if you will you be presenting to a domestic crowd or your audience is going to be international? Colors, designs and other such elements have very different meanings across the globe. Venue of the presentation - Where will you be giving your presentation? Size and shape of the presentation venue will definitely be an important factor to consider. For instance, you should use darker backgrounds with lighter font color for a big and dark venue. It will be easier on the eyes of your audience. Presentation Length is Important - If you have a relatively longer PowerPoint presentation then you should break it into several sections. You can use the same PowerPoint presentation template but can change the colors a shade or two for different section. This will be easier for the audience to differentiate among the different sections and remember your overall presentation. You will have to adapt according to the type of your presentation, be it classic, modern, fun, informative, etc. Also, PowerPoint presentation templates are organized by category on websites like EditableTemplates.com. When you are exploring the best PowerPoint template for your upcoming presentation, do a search by keyword to zero down to the best template. This will save you a lots of time and help you find the suited templated for your presentational needs. If you really want your presentations to make an impact, you need to kiss those templates goodbye and put in some work to WOW your audience. You wouldn’t launch your website after one afternoon’s work (deep breaths web admins), so make sure you’re committing the appropriate time to the visual aid that can really help you communicate your message and leave a lasting impression! Hope these tips help you pick a great PowerPoint presentation template for your upcoming PowerPoint presentation! Happy Presenting!